A former apprentice of Birmingham-based HydraForce Hydraulics Ltd (now an employee) has won the Vocational British Education Award for England (Zone 1 Region). 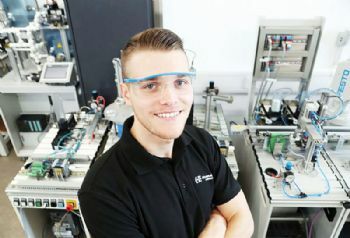 Daniel Millington, who completed his manufacturing engineering apprenticeship one year early, became an engineering technician at the firm before being promoted to process engineer at the end of last year. Although he was unable to attend the ceremony, due to exam commitments for his engineering degree, he said: “This event showcases what the up and coming generation can do, have done and are doing in a range of sectors. The British Education Awards, established to celebrate and promote excellence in British education, are now in their third year. There were 76 students shortlisted, with awards presented to winners in five regions and within four categories — GCSE or Scottish National 5, A Level or Scottish Advanced Higher, Vocational and Degree. Candidates were also judged on their extra-curicular activities and responsibilities. In addition to mentoring the younger apprentices at Hydraforce, Mr Millington is an ambassador for apprentices throughout the Midlands region. HydraForce’s (www.hydraforce.com) advanced engineering apprenticeship scheme, which began back in 2004, sees apprentices study full-time at college for their first year. 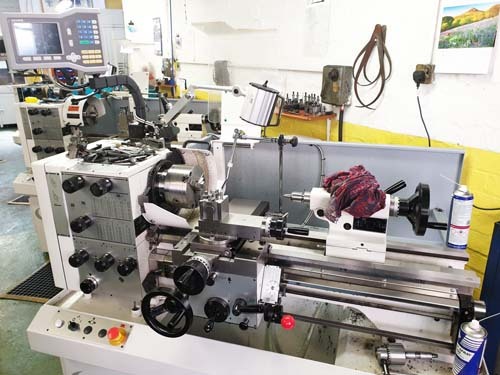 In their second year, they gain valuable work experience at HydraForce in different areas of the business, with a day release to college to continue their studies. The scheme gives them the opportunity to achieve their BTEC, with the company sponsoring them to go on to either an HNC or a Foundation degree. In 2018, the firm took the decision to broaden its scheme; employees are now offered management apprenticeships as part of their professional development.